A cartoon series based on characters who live on a planet really far away from Earth, and have many adventures. Welcome to the Web Site! 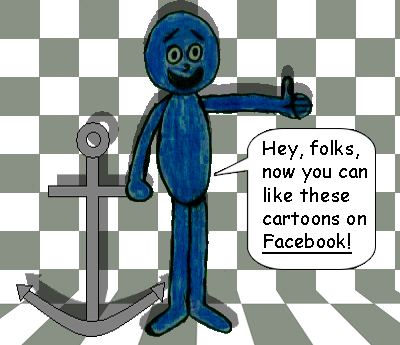 I hope you will enjoy viewing my cartoons which are about special characters from my imagination. 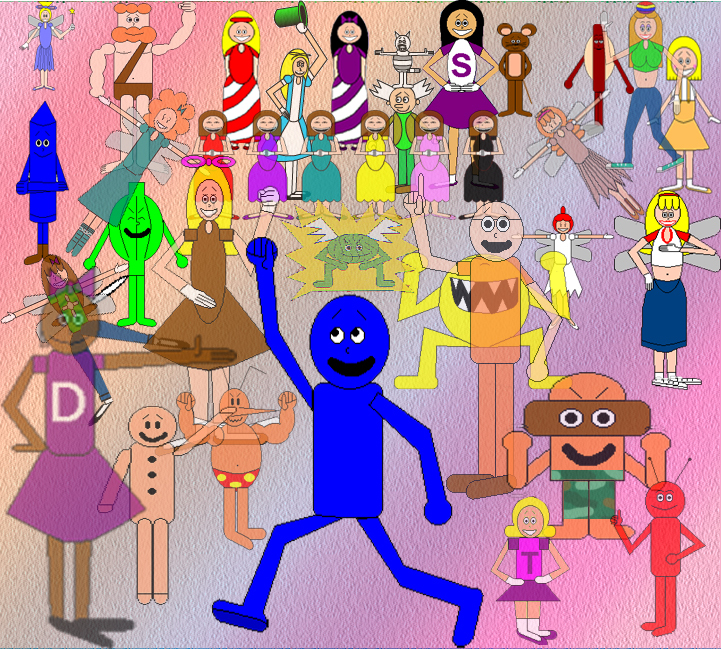 In this abstract image are the 36 major characters of Blueworld Adventures. Click on the image to see their names & profiles, or you can click on the old link in the Extra Section. You can also read more about me the creator there, or you can just click here. My name is in every Web page in my Web site, next to the copyright symbol. Click here to see the Series Introduction! Note: If ActiveX is installed on your computer, then you'll have to right-click the mouse arrow on this hyperlink which will make a pop-up menu appear. On the pop-up menu, select "Save Target As..." to save the Introductory Animation onto your computer, so you can see it. Some Math Tricks I Discovered: For Super Mathematicians!